Aversive agent for toiletry, cosmetics, such as nail cream, toilet water. Pedicure Spa - Cuticle & Nail CreamNon greasy cream, softens dry cuticles & strengthens nails against splitting & peeling. To use - Massage it on Nails & gently push back cuticles. 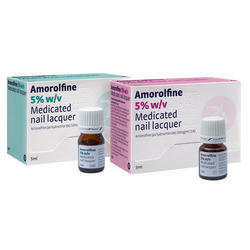 We are involved in providing the wide range of Nail Cream. It softens and feeds skin of hands and cuticles, protecting from irritation of frequent contact with water. It protects a plate of nail from fragility, provides with a germicidal protection. It is available in the market at reasonable prices. Massage liberally onto hands to help smooth and soften skin. Aveda recommends the use of a sunscreen as part of a daily skin care regimen. - Absords quickly to provide instant, long-lasting moisturizing relief and protects hands throughout the day, leaving hands looking rediant and youthful. Repairs and protects for youthful hands. We are also engaged in providing in products such as organic surge softening shower gel - sugared almond ( 250ml) . non greasy cream, softens dry cuticles & strengthens nails against splitting & peeling. It's a light textured hand and nail cream. it softens the hands and keep them beautiful. The amazing part is it hardens the nails. When the long nails tend to bend, especially in winter, you can apply this cream under the nails, it brings them back into normal shape. Quite an amazing product.